The longer you cut the strips, the bigger the rose will be. It’s hard to tell from the picture, but above is a sheet of plastic cross-stitch grid from the fabric dept in most craft stores – it’s approximately 12” x 18” and is great for texturing the roses or bows!!! 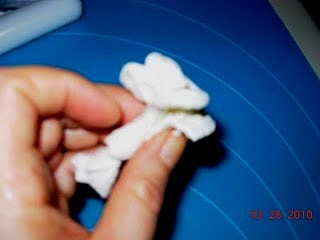 Place a little bit of gum-glue at the left-hand side – in about 1/2"
Fold left-hand edge down – about 3/4"
This material may not be copied without permission from the author. These turned out so yummy!!! I took them to a business function and everyone was taking extra home with them! 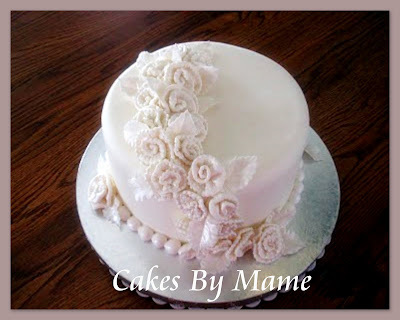 Start out with any basic white cake recipe, either from scratch or mix, substituting Coffee-Mate Creme Brulee liquid for the liquid in your recipe. When your cupcakes are cool, cut a hole in the middle of the cupcake with a sharp paring knife, cutting at an angle. I made my icing with half butter and half shortening, some vanilla extract, a pinch of salt, and of course powdered sugar. For the liquid, I used the Creme Brule coffee creamer again, heating it up until very warm, but not boiling. I don't have exact measurements because I didn't measure! Sorry!! I just mix it until it's light and fluffy!! I added the icing swirl and drizzled with caramel ice cream topping. Summer is Here and Time for Fun in the Sun! 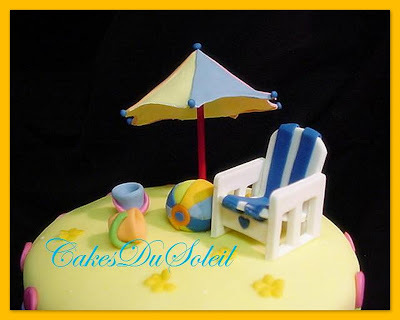 This is a tutorial to create your own little beach on top of your next Summer themed cake. 1" square cube of styrofoam. Half Sphere flower formers or styrofoam ball. Roll out firm white gumpaste about 1/8" thickness on a board dusted with cornstarch. Using a window cutter or pattern above, cut two pieces 1 inch wide and 2 inches in length. 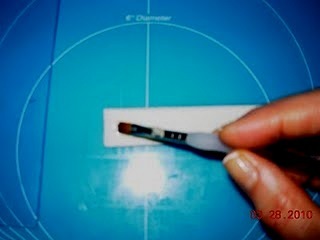 Measuring 1/4" from the squared edge of one, make a slight indention on one of the cut pieces. Set aside on flat styrofoam to firm up. This will be the seat. Roll out firm gumpaste approximately 1/4" thickness on dusted board. If desired, texture with woodgrain textured roller. 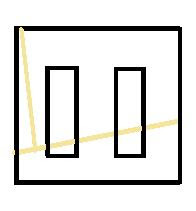 Use the bamboo skewer to make a very slight indention on the non-textured side of the square. Use pattern as a guideline. This slight indention will serve as a guide during assembly. cutter for a perfect measurement, as shown . Start with one square side of chair, textured side down. Brush gumglue in indented side of seat, and place seat together. Brush the sides of the seats with gumglue. Place side down, using the guides on the sides. the next side on top, textured side up. Brush the top and sides of the facings. Place the 1/4" facing on the back side and the 3/8" facing on the front side at the base of the seat. Check to be sure your chair is straight. When dry, use the 1/4" strip disc in your clay gun. to cover the complete length of the chair. 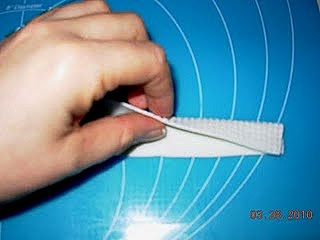 Place two strips in place and secure with gum glue. 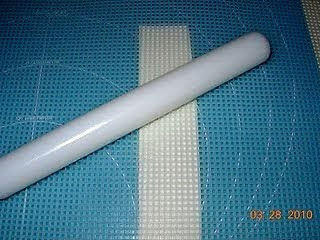 Roll out a very thin piece of blue gumpaste and cut a design using a plunger cutter. Secure in place, using gum glue, on the center front chair facing. Roll out white or yellow gumpaste about 1/16" thickness. 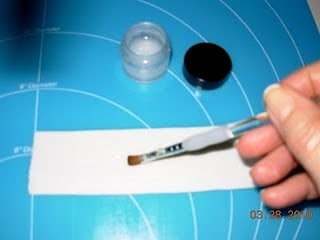 Make a circle, using your 3-1/2" circle cutter. Using the pattern, make a slight indention with your bamboo skewer to use as a guideline. 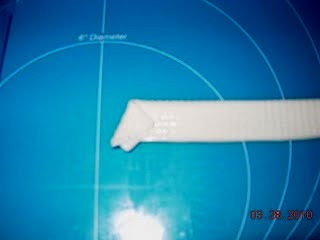 Using the PME wheel cutter, cut a very slight curve from line to line, as shown. 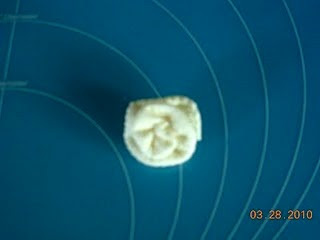 With a 1/2" ball of white or yellow gumpaste, make a small cone. 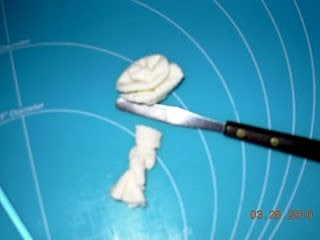 Place the cone on top of the sphere and moisten the topside of cone with gum glue. 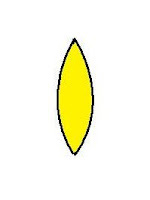 Place the center of umbrella over the tip of the cone. or cut a pattern in parchment paper using one section of the umbrella pattern. Place the pattern over colored gumpaste and cut two of each alternating color. Brush the sections with gum glue and apply the colored fondant. cover the seams of the umbrella, securing with gum glue. 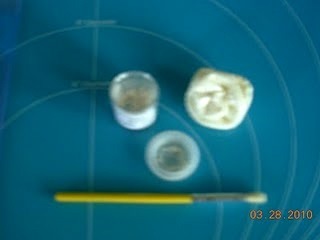 Make a 3/4" ball of white or yellow gumpaste. 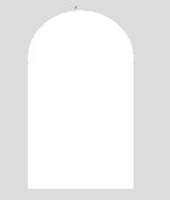 Shape into a cone. 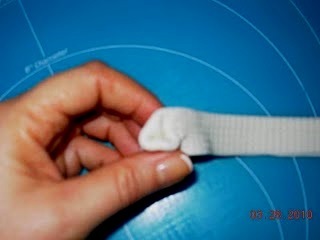 Score the cone with a tootpick, then turn over and moisten the flat side of cone with gum glue. 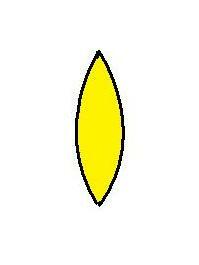 Secure inside the center of the of umbrella and place a straw at an angle into the center of the cone. When dry, add little colored balls at the ends of the umbrella and a larger ball on the center top, securing each one with gum glue. Knead gumpaste and flatten out on well dusted board to 3/4" thickness. Using the 3/4" round cutter, cut out a circle. 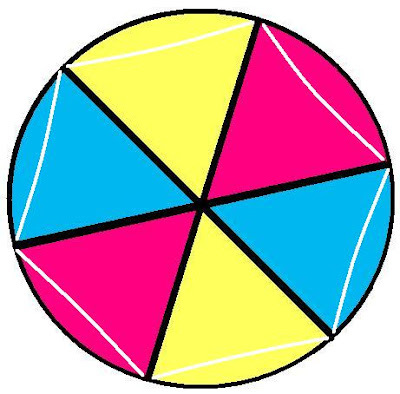 Roll the circle on the board until a perfect sphere is formed. 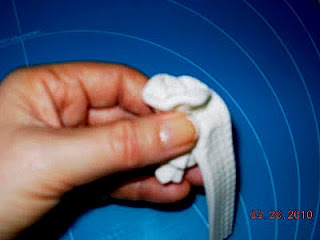 Lay into a cornstarch bath to dry. When completely dry, cut two each of section using alternating colored gumpaste. Place carefully over the white ball until covered, securing each color piece with gum glue. 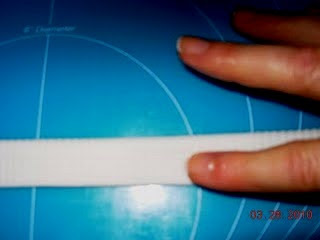 circles and secure on each end of ball, securing with gum glue. placing in the center of the white circle. Roll out colored gumpaste about 1/16" thickness. Cut 1/2" wide and approx 1" long. Wrap around the end of the #2A piping tube**. Moisten one edge with gumglue, and secure in place. Allow to firm up, then remove and set aside to dry. 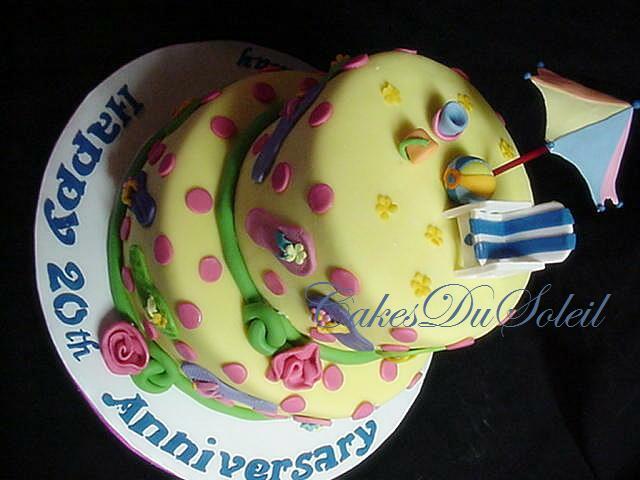 Roll out same colored gumpaste thinly, and cut a circle using the 10mm cutter. Moisten the bottom edge of the pail, securing the circle to create pail bottom. Decorate pail by using contrasting colored gumpaste, cut with assorted plunger cutters. pail to create the pail handle. When all pieces are dry, you will be able to place directly on top of your cake. 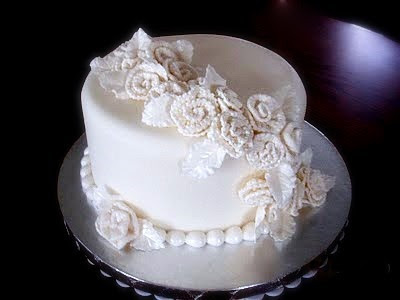 Copyright 2010- All rights reserved.